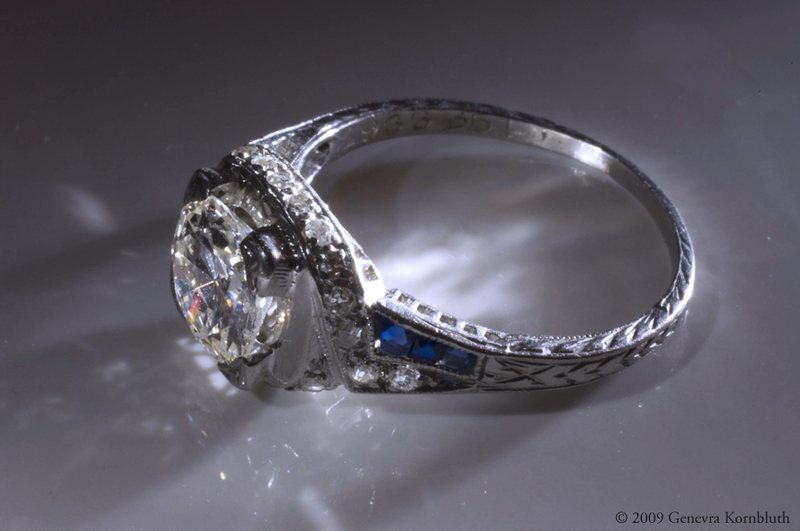 Platinum, diamond, and sapphire ring, dated 1933. The additional views below document its inscription, the unusual trapezoidal cut and chipping of its sapphires, and the clarity of its central diamond (seen from behind). Private collection.